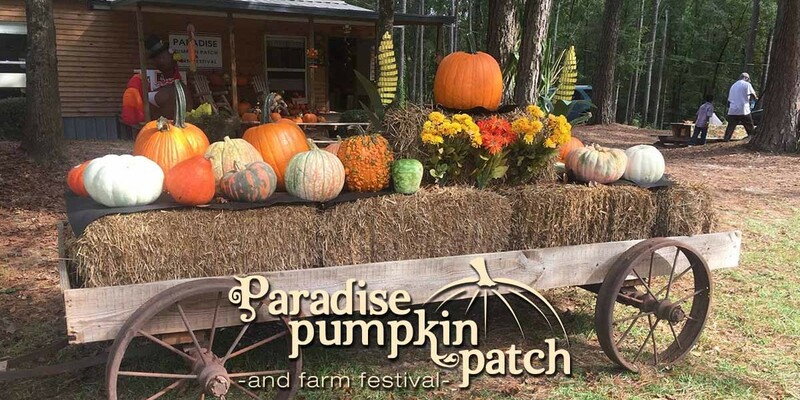 We have the perfect rural setting just a few miles from Eufaula, Alabama. 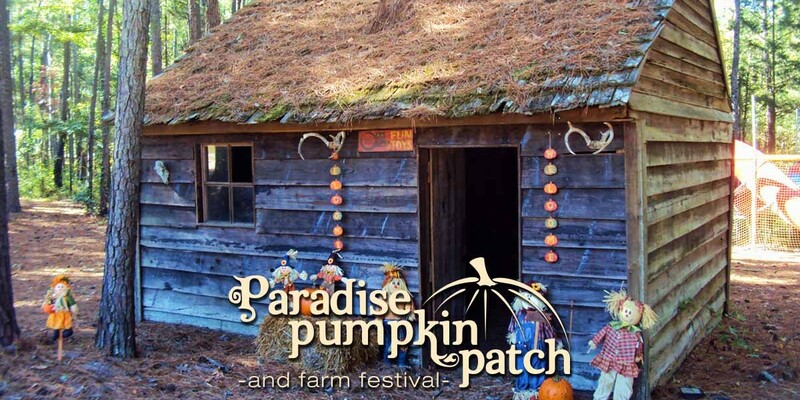 Take a step back in time when you visit Paradise Pumpkin Patch. 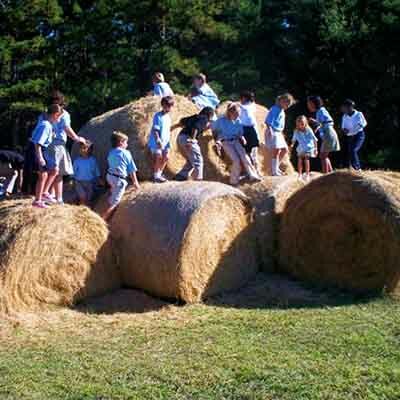 Our farm is an interactive experience for kids from two to ninety-two! 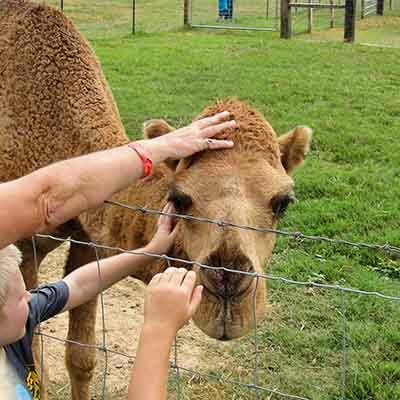 We have activities, adventure, antiques, and animals. 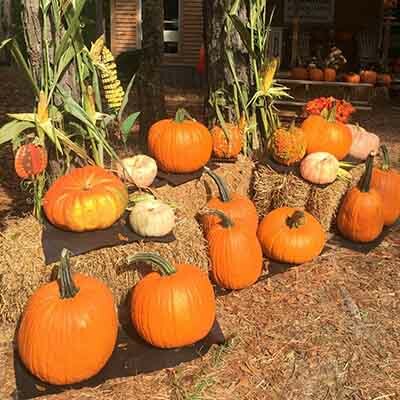 Did we mention pumpkins? 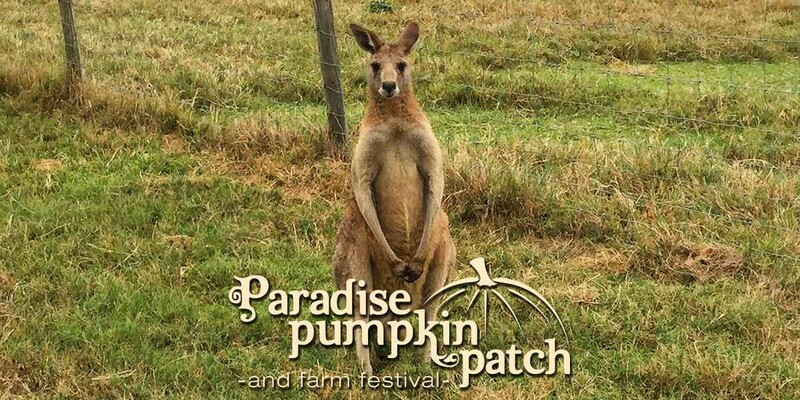 Paradise Pumpkin Patch will be OPEN this weekend, Saturday October 13 & Sunday October 14th. Hurricane Michael did little damage and we are thankful that no animals were harmed during the storm. 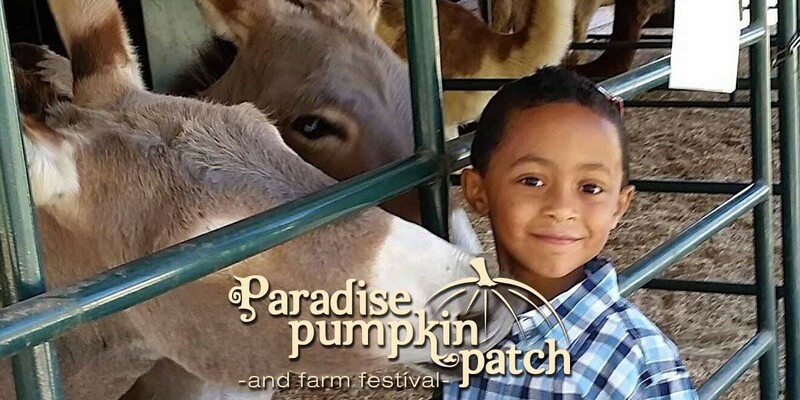 Farm admission includes unlimited access to all of the attractions and the opportunity to meet our animals! 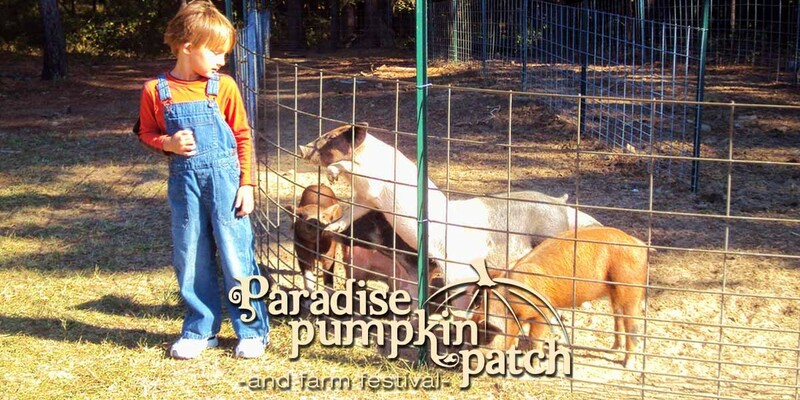 There is an additional fee only for hand-led pony rides ($5). Bring your family and friends — enjoy a day of food and fun. 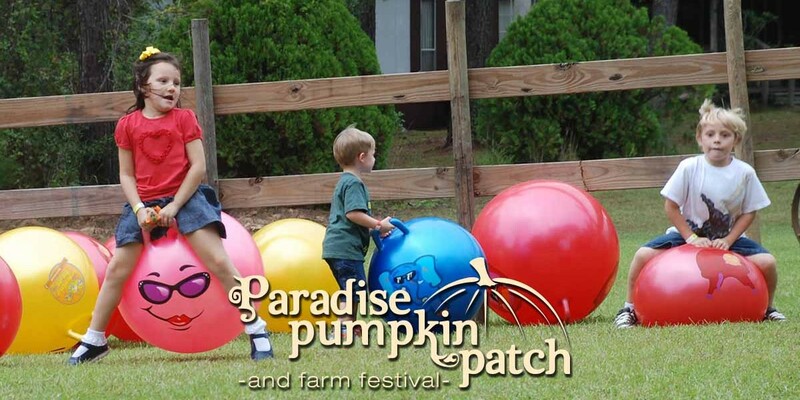 Attractions: Hayride, Cow Train, Inflatable Park, Hay Bale Hill, Trackless Train, Feather Farm, Farm Playground, Giant Corn Box, Calf Roping, Cow Milking Mini Zip Line, 60 Foot Tunnel Slide, Rubber Duck Race, Jumping Pillow, Cotton Pickin’, Tractor and Tricycle Race, Obstacle Course, Pig Races, Pumpkin Painting, and Stick Horse Corral! We accept cash or credit/debit cards for admission. No personal checks, please. We have an ATM on site. We have delightful Country Store for gifts and souvenirs. Come hungry, ’cause our Farm Kitchen is the home of “finger-licking good and farm fresh”! Hotdogs, hamburgers, chicken fingers, pizza, cotton candy, popcorn, soft pretzels, boiled peanuts, chips, nacho’s, ice cream, and assorted snacks and cold drinks. We know it gets hot in Alabama, so we’ve air-conditioned our farm restrooms.